Are you unable to get over the plateau and lose that stubborn belly fat even after months of strict diet and exercise? Then, may be the problem lies in your eating habits. Including a few healthy foods in your diet can do the trick and help you to lose belly fat without much effort. Getting rid of your bulging belly is not only important for your self-image, but for more serious issues as well. Excess abdominal fat, particularly visceral fat that builds up around the organs is an indicator of heart disease, insulin resistance, type-2 diabetes and certain types of cancer. 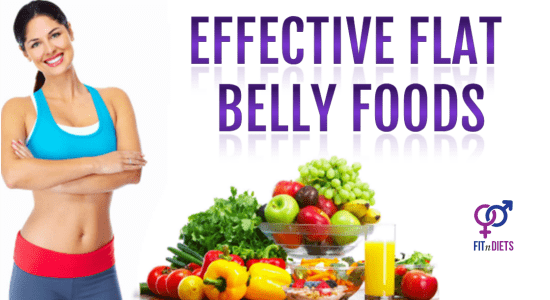 In this article, we have listed not one but 18 healthy flat belly foods that help to lose deep-seated stomach fat. Before getting on with the list of flat belly foods, let us check out the causes of belly fat formation. Progressing age is one of the main factors for a bulging belly. Both men and women experience this problem with age because of the declining metabolic rate. In addition to that, women going through their menopause tend to gain excess weight due to shift in hormones which usually get stored in their bellies. Cardio workouts are great for improving your heart health but only concentrating on cardio exercise won’t help much with weight loss and reducing belly fat. You need to follow a combination of weight training and cardiovascular exercise in order to increase muscle mass which helps notches up calorie burning. Excessive dependence on processed foods and refined carbs such as white rice, white bread, white paste and refined sugar increases inflammation in the body which leads to formation of belly fat. It is true that the body need some amount of fat to break down the fat, but it is important to choose the right type of fats for this purpose. High intake of unhealthy saturated fats that are present in meat, butter, cheese, cream, etc tends to increase visceral fat in the stomach which leads to a bulging belly. Stress is one of the main causes of a bulging belly. Stress at your work place or at your home can make it difficult to drop the unwanted pounds from your mid section. This happens because stress promotes the release of hormone cortisol that increases the amount of fat in your body and enlarges the already existing fat cells. Fatty fish such as salmon, mackerel, herring and tuna are one of the most effective flat belly foods loaded with healthy omega-3 fatty acids and lean protein that not only improves cardiovascular and brain healthy but also boosts your metabolism and fights fat by reducing fat mass. Omega-3 fatty acids also help to lose belly fat by enhancing satiety and reducing hunger for up to 2 hours after a meal. 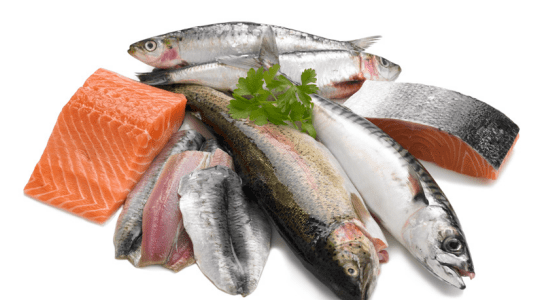 So, make it a point to include these oily fish to your belly fat diet at least 2 times a week. You must be wondering why we have included calorie-rich avocados in the list of flat tummy foods. Well, the healthy monounsaturated fatty acids found in avocado that have incredible benefits for the heart also contains high levels of beta-sitostrol that reduces the level of fat and cholesterol in the body. 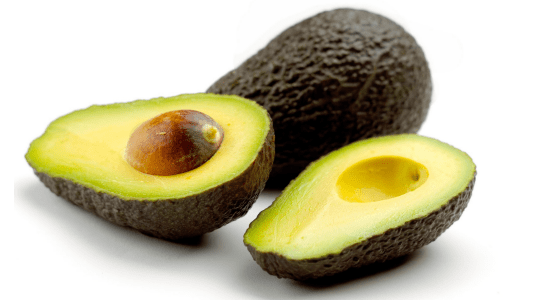 Avocados are also a potent source of fiber that makes it a healthy and filling food for staving off hunger so that you can achieve a flat belly. Indulge in the delicious taste of dark chocolate and say good bye to stubborn belly fat in a quick and effective way. Cocoa used to prepare dark chocolate is loaded with antioxidants that prevents excess weight gain and also lowers the blood sugar levels in the body. 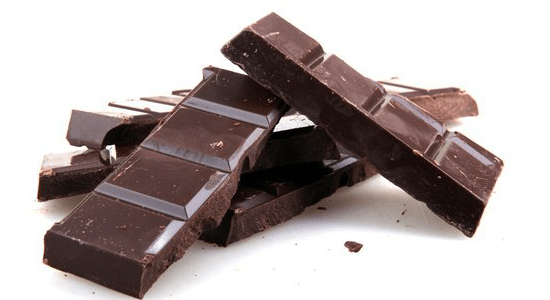 Additionally, the microorganisms present in the gut ferment chocolate into anti-inflammatory compounds that shut down the genes connected to inflammation and insulin resistance – two of the main factors for increased belly fat. Natural peanut butter is one of the best flat stomach foods that contain belly-slimming monounsaturated fats, filling fiber and metabolism-boosting protein. In addition to these nutrients, it also contains the compound Genistein that directly affects the genes responsible for obesity and turns them down, which in turn reduces the body’s capacity to store fat. 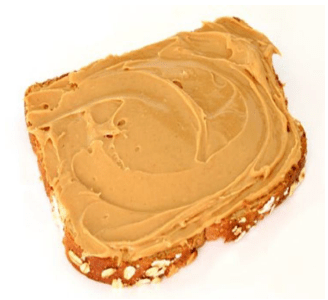 The only two basic ingredients used to prepare peanut butter are peanuts and salt, so there is no question of added flavorings and preservatives. Stress is one of the main culprits that promote belly fat by increasing the release of hormone cortisol which promotes extra fat storage in the mid section. 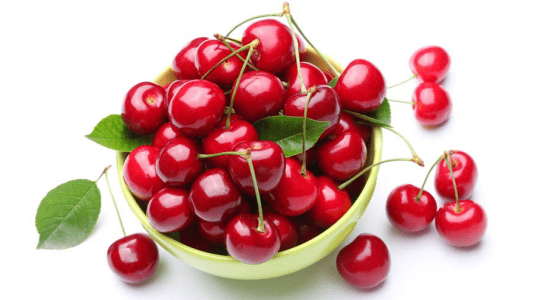 Tart cherries are one of the best foods to relieve stress that is a plant-based source of hormone melatonin that calms the mind and promotes sleep. The melatonin not only helps to reduce stress but also protects the cells from free radical damage that is one of the leading causes of cancer and chronic diseases. Snack on a handful of tart cherries or drink a glass of cherry juice in the morning and evening for best results. Substitute your regular cooking oil with extra-virgin olive oil and add it to your salads and notice the difference in your belly bulge. 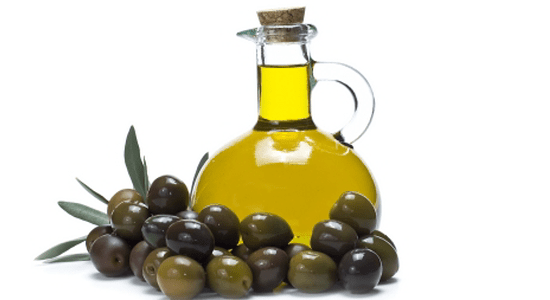 The healthy monounsaturated fats in olive oil not only keep cholesterol levels under control, but also help to curb hunger and increase satiety. Research also shows that the monounsaturated fats present in olive oil speeds up the body’s breakdown of stored fat. Even the aroma of olive oil helps you to stay full by increasing the feelings of satiety and fullness. The powerful antioxidants found in green tea not only fights cancer and heart disease, but also speeds up metabolism and shrinks your belly. 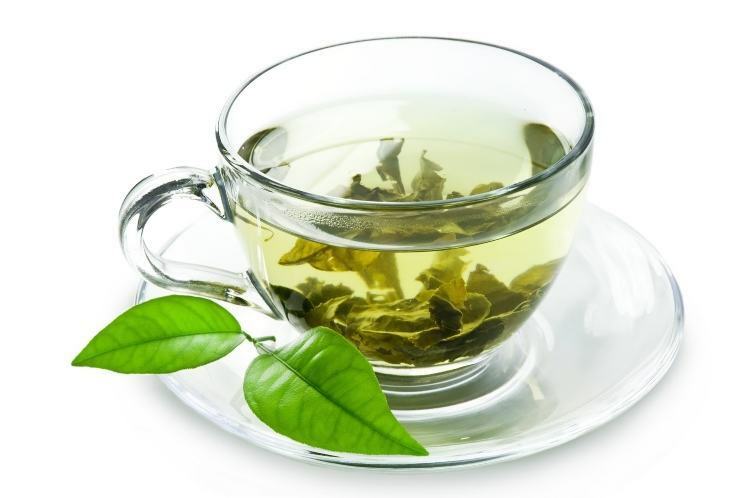 The catechins in green tea reduce belly fat by increasing metabolism as well as the rate at which the liver burns fat. But in order to reap the belly-fat busting benefits of green tea you have to drink at least 4 to 6 cups of caffeinated green tea every day. Eggs are one of those protein-rich foods that make your stomach flat without much effort. Eggs are one of the easily-available and versatile sources of high-quality protein and healthy fats that replace stored fats with lean-muscle mass and enhance the feeling of satiety. 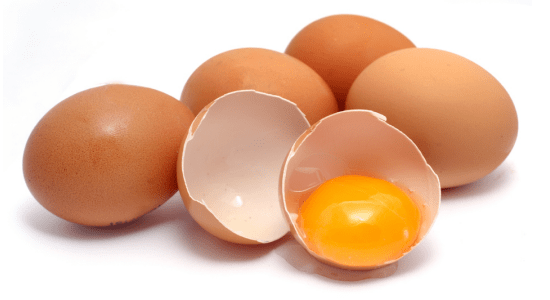 Vitamin B12 in eggs metabolizes fat in the body and makes it available as a source of energy. Choline, another important compound present in eggs attacks the gene mechanism that signals the body to store fat around the liver. So, start your day with a couple of eggs for breakfast in order to have a flat stomach. Ripe and juicy berries, especially blueberries are one of the most powerful foods for a flat stomach thanks to its high antioxidant content. The antioxidants present in blue berries change the way in which the body processes and stores sugar or glucose for energy, thereby reducing fat storage in the abdomen. Berries also loaded with fiber and water which helps you to stay full longer, thereby reducing the cravings for unhealthy, sugary snacks. 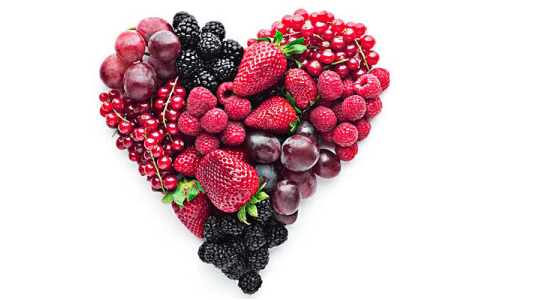 You can opt for either fresh or frozen berries, because berries still retain most of its nutrients in the frozen form. There is a strong underlying link between calcium and belly fat. 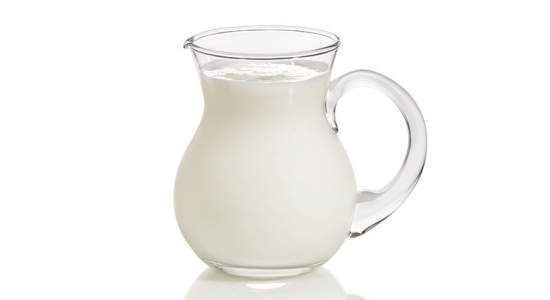 Calcium present in milk and other dairy products helps to break down fat and prevents it from forming. Milk is especially effective at targeting harmful intra-abdominal fat that is linked to increased risk of heart disease and cancer. Milk is also a potent source of quality protein that increases satiety, helps you to stay fuller for longer and boosts lean muscle mass that replaces body fat. But it is best to opt for low-fat or fat-free milk over the full-fat versions for best results. Legumes and beans such as kidney beans, Pinto beans, Navy beans, lima beans, etc are some of the best vegetarian sources of protein and fiber that helps to tone the abdomen and lose weight. The high-quality proteins in beans help to get rid of body fat and develop muscle mass. 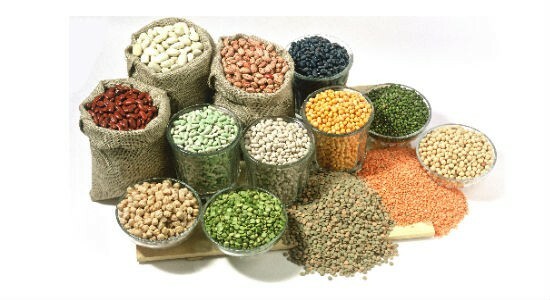 Fiber in beans increases satiety and helps to feel fuller for a longer time, thus, limiting unmindful snacking. Beans and legumes are two of the excellent foods for a flat belly that can be used as a replacement of meat which will help to cut down on unhealthy saturated fats. 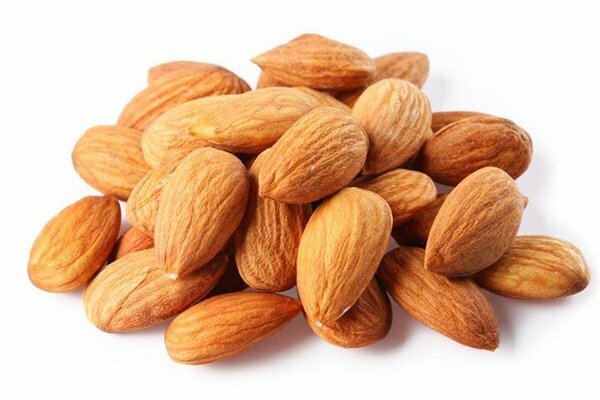 Almonds are an excellent source of monounsaturated fatty acids and vitamin E that function together to reduce the level of cholesterol in blood, But how to reduce belly fat with almonds? The hearty amount of fibers present in almonds helps to fight belly fat by keeping you satiated and preventing unhealthy snacking. Almonds are low in calories which make it a healthy and filling snack that you can enjoy any time of the day. So, munch on a handful of dry-roasted almonds the next time you feel the hunger pangs. Macadamia nuts are the ultimate foods for flat stomach that are filled with fats and yet exceptionally healthy. No doubt, they form an integral part of the Keto Diet and Atkins Diet. 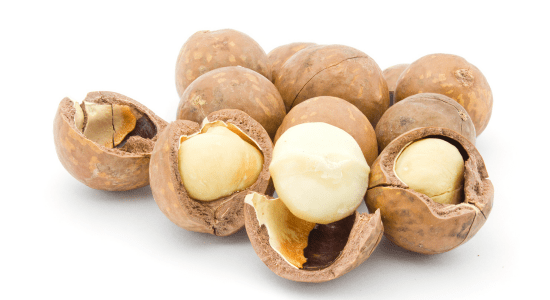 Macadamia nuts have negligible amount of inflammatory omega-6 fatty acids compared to other nuts which helps to reduce fat cell hypertrophy (increase in size of the fat cells). Palmitoleic acid a type of monounsaturated fatty acid present in macadamia nuts speeds up fat metabolism and lowers the body’s ability to store fat. Macadamia nuts are an excellent source of antioxidants that lower high blood pressure and provide protection against some types of cancer. Crunchy and flavorful walnuts are an excellent source of unsaturated fats that helps to reduce abdominal fat and gives you a toned and flat stomach, thus making it one of the best flat belly foods. 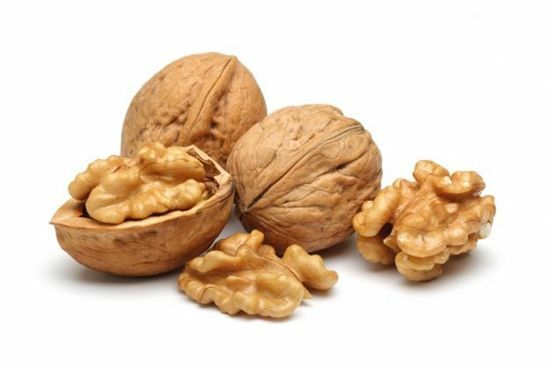 The unsaturated and polyunsaturated fats in walnuts activate certain genes that reduce fat storage in the body and improve insulin metabolism. So, munch on a handful of walnuts as a snack or sprinkle some sliced walnuts on your salad or oats for utilizing its belly-fat busting benefits. Pistachios are one of the healthiest of nuts for reducing belly fat because it is much lower in calories compared to other nuts and loaded with healthy fats that have numerous benefits for overall health. 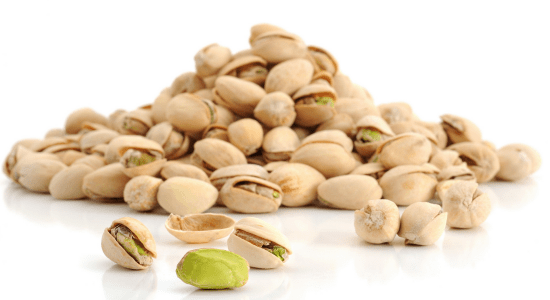 The perfect combination for reducing belly fat is protein, dietary fiber and healthy fats and pistachios are one of those foods that contain all these nutrients in the perfect proportion. These nutrients boost the feeling of fullness for a prolonged length of time and lower the tendency to snack on unhealthy foods. In addition, pistachios are extremely nourishing and help to supply the essential nutrients while you are on a restrictive diet. Sunflower seeds form an important part of the belly fat diet because it is loaded with protein and fiber – the two main components that helps to tone the abdomen and cut down belly fat. The healthy fats in sunflower seeds support metabolism and boosts the fat burning mechanism. Both polyunsaturated and monounsaturated fats in sunflower seeds balances blood sugar levels and lowers cholesterol level in the blood which also has a strong impact on belly fat. 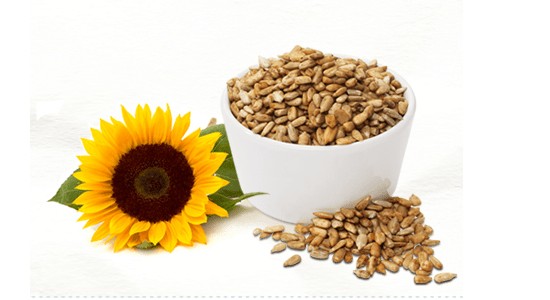 The omega-6 fatty acids in sunflower seeds improve glucose metabolism by increasing insulin sensitivity which helps to remove excess sugar from the bloodstream. 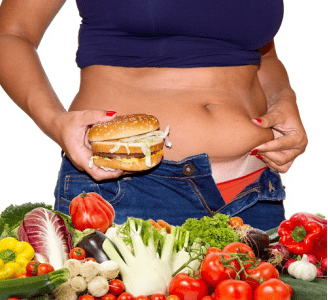 This entire process is extremely important for weight loss because, if blood sugar levels remain high consistently then the body starts converting the extra blood sugar into fat and stores it in the abdominal area. Protein powder is not just for bulking up and building muscles, it also contains amino acids that promote fat burn. The amino acids in protein powder increases muscle metabolism that utilizes a considerable amount of stored fats and leads to greater amount of fat loss. 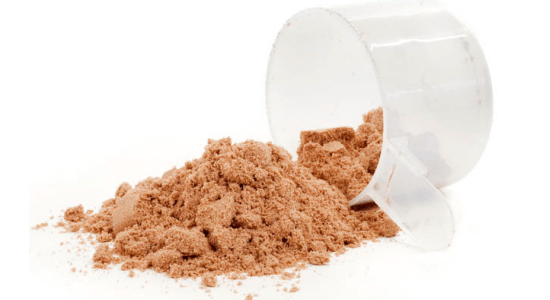 A simple whey protein supplement can do the trick; there is no need for expensive whey protein isolates. Just add a couple of teaspoon of a whey protein powder to a smoothie and your belly-fat busting drink is ready. Flaxseeds are one of the best plant-based sources of omega-3 fatty acids which make it one of the potent flat tummy foods. 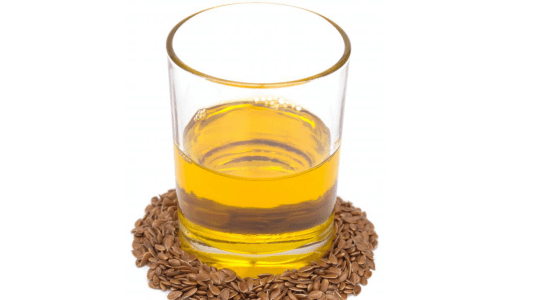 The healthy fats in flaxseed oil not only lower the risk of cardiovascular disease, but also promote weight loss by reducing the size of fat cells. Flaxseed oil also reduces the pro-inflammatory compounds in tissues, which is an important factor for weight loss and belly fat reduction. Omega-3 fatty acids and monounsaturated fats in flaxseed oil can also be used to fight obesity. So, what are you waiting for? Include these foods in your flat belly diet and get started on your journey towards a leaner, healthier and better self.